Electronic cigarettes all too frequently misunderstood for Advanced Personal Vaporizers (APVs) or more commonly known as “Vape Pens.” The producers and consumers of vaping products want you (and lawmakers and media) to fully understand that there is a fundamental distinction between the devices. Let’s begin with what an e-cigarette’s purpose is. E-cigarettes were constructed as an alternative to smoking traditional cigarettes free from the presence of tobacco. This new option promised a safer way for users to receive nicotine into the body because regular cigarettes rely on burning tobacco and inhaling the smoke to intake nicotine. 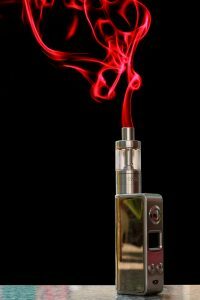 E-cigarettes heat a nicotine liquid in order to convert it to a vapor that the user then inhales. E-cigarettes have limited flavor selections and can really only be found in gas stations or convenience stores. What an E-Cigarette is not. Vape devices feature a heating element and a chamber where materials such as dry herbs, cannabis, oil, wax, or e-juice are converted into vapor. Therefore, vape pens and mods have far more control and variation then e-cigarettes. It’s no wonder that with the upsurge of mod sales, tobacco companies making disposables want mods gone all together. The choice is yours, but do understand that there are critical variations concerning electronic cigarettes and vape pens/mods. One is high in tobacco and widely recognized to be dangerous for your health, while the other allows you to have more power over what goes into your body with great flavor. If you realize that you’re not using the device you want to be using, have a visit to our Vapor Galleria Tyler Location, in Tyler, TX to learn more about vape products. Or call (817) 428-4031 more information.